Buyers need to be reasonable when asking for repairs. There is nothing more disappointing to both buyers and sellers when a sale falls apart. Obviously the buyers wanted the home or they would not have made an offer to purchase it. The sellers are excited because they have an acceptable offer on the home. Then along comes the home inspection and the buyers go in to full panic mode because the home inspector points out every little thing he can find that isn’t perfect on the house. The buyers go crazy and start listing every item on the report for the seller to repair. No home is perfect, not even a new home. While some requests for repairs may be justified, particularly if they present a health or safety concern, going crazy and expecting the seller to bring a home back to like new condition is unreasonable. In Arizona, all homes are sold in “Present Condition” which translates to “As Is”. 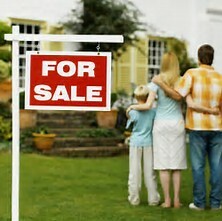 The seller is not obligated to complete any repairs to any home to make the sale. If the requests are reasonable, most sellers will complete necessary repairs. That does not mean they will fix every item on the report or that they will make improvements to the property that the home inspector may have recommended. Repairs if reasonable may be acceptable; asking the seller to improve the property to the buyer’s specifications is not. Further, the form used to request repairs is not intended to be used as a negotiation tool or to change the terms of the original contract. Any changes to the terms of the contract must be done by addendum, not on the repair request. In Arizona, if you want to renegotiate terms, it must be done prior to requesting repairs. If the seller declines the modified terms, the buyer still has the opportunity to request repairs. That does not mean the seller will do them, but the buyer does have the opportunity to request them. Buyers need to be reasonable when requesting repairs. It is to everyone’s benefit for the buyer to understand that no home is perfect and the seller is not required to make it perfect to sell it. Reasonable requests are usually acceptable but expecting perfection is not, particularly if the property is in high demand. There are many buyers out there scrambling to find homes due to the low inventory market. Sellers know this and buyers need to take that in to consideration when making requests of the seller. Be reasonable and everyone will win in the end. The buyers get the home they want and the sellers can move on with their lives. Need a buyer’s agent with the experience you need to help you meet with success in your home purchase, call me. I can help you negotiate the process and get you in to your new home. Thanks for reading, until next time…..